First up is Ice Cold!! Perfect as it's been hot hot hot here in NY lately. 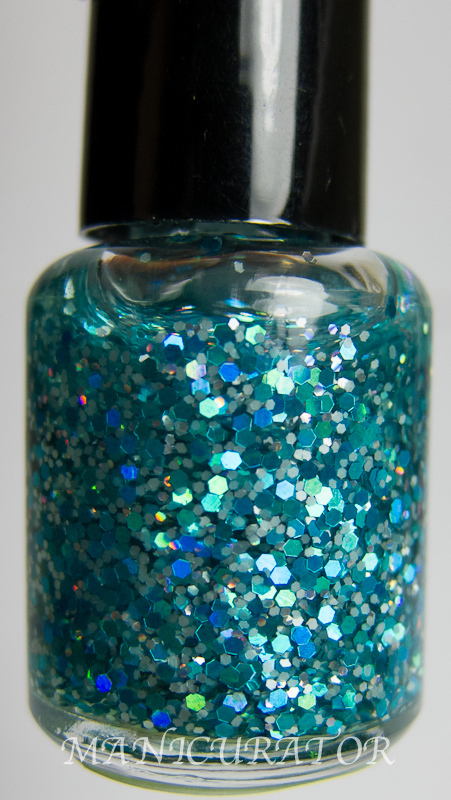 This is the perfect polish to help you think cold thoughts. From their description: "ICE COLD is a clear base with teal holographic hex glitters, light blue satin matte hex glittered and small holographic silver glitters." Two coats Essie She's Picture Perfect and one coat F4 Polish Ice Cold. No top coat! Here's the "underwear" I chose. 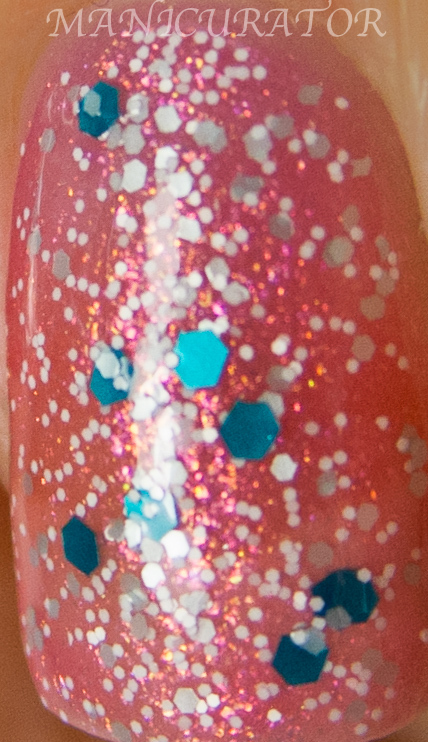 So you can see, the F4 polish is in a clear base and doesn't change the color of your underwear. Next we have Rainforest. What a great name! 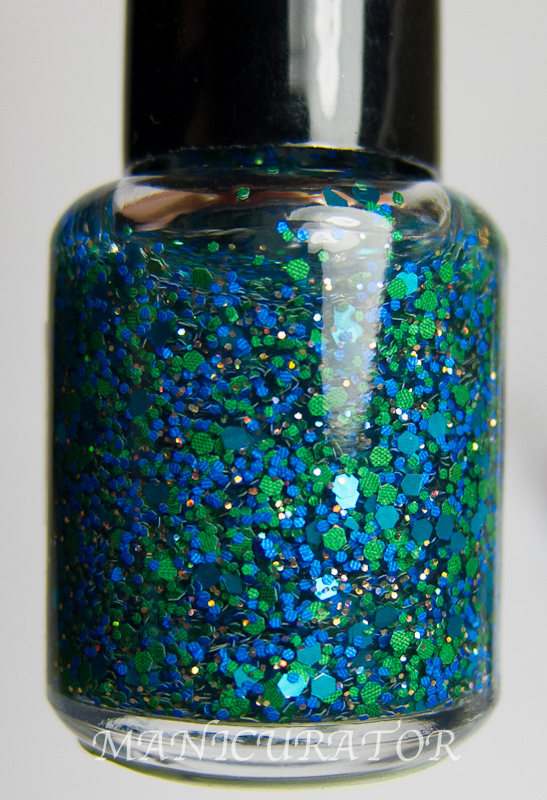 From their description: "RAINFOREST is a clear base with green and blue matte glitters and gold holographic glitter." 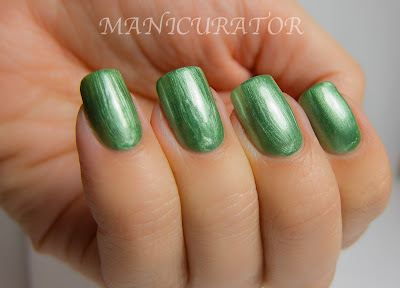 One coat The New Black green, from the Runway set and one coat F4 Rainforest. 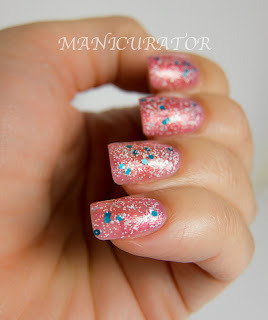 No topcoat! Here's the underwear I chose for this pairing. Just one coat! The next 2 photos have Seche Vite top coat. And lastly for today, Abominable! 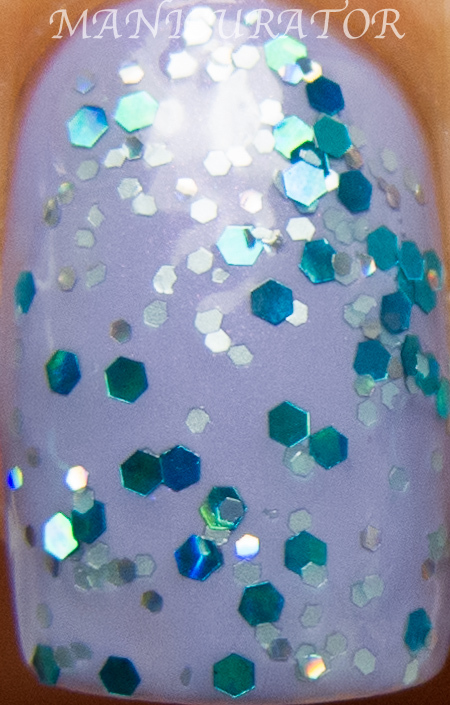 From their description: "ABOMINABLE is a clear base with white and light blue fine matte glitters and teal hex glitters." 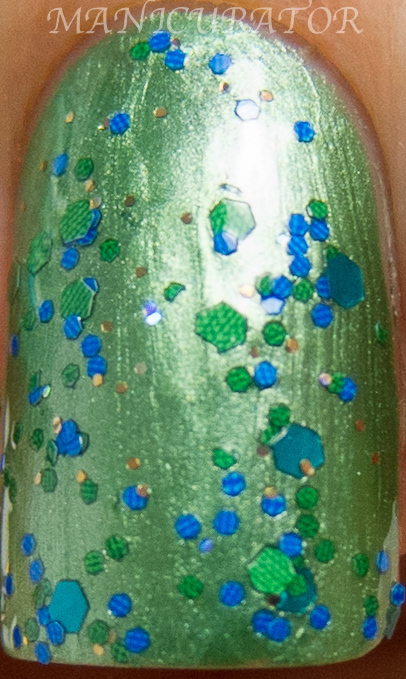 Two coats of Zoya Belle (sooo pretty!!) and two coats of F4 Polish Abominable. No topcoat. Aaaah. I love each and every one of these. The formula for all of them is great. 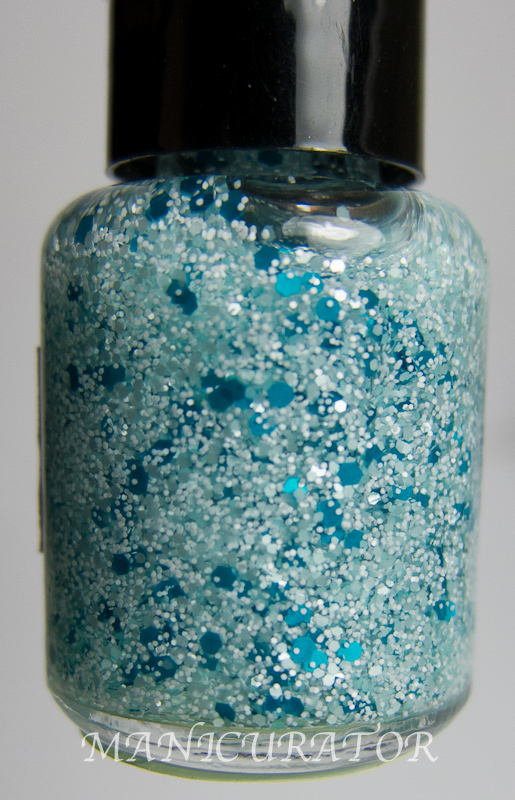 The glitters are always perfectly balanced and no sinking and no bleeding. Usually one coat is enough! 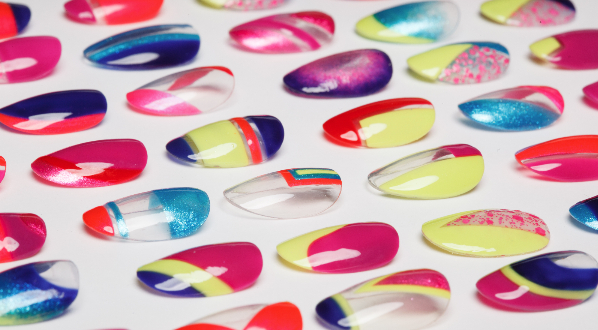 And the application challenge might be that you'd want to dab and spread to get the glitters where you want them on the nail. Most of the time that isn't even necessary. If you are debating any F4 purchases (each 15ml bottle BTW is $8) I wouldn't hesitate. 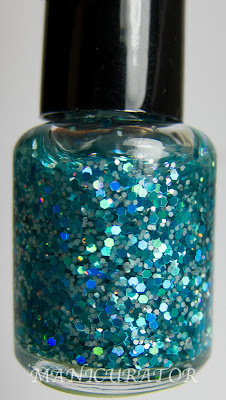 The girls who make these have great customer service and the polish will not disappoint! *Disclosure* These mini bottle were sent to me for my honest opinion and review. As always, my loyalties are to my readers first and foremost. 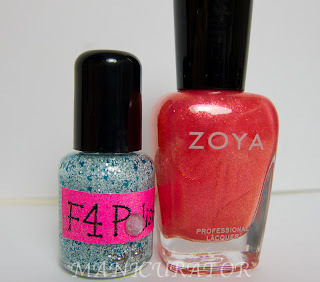 I can't get enough F4 swatches! They are so beautiful! I haven't tried them yet. I may have to! I love the Belle Abominable combo so much! Love, love, LOVE F4! Surprisingly enough, I don't have any of those although they are on my list. I love the surprise unders in Belle, really pretty combination! 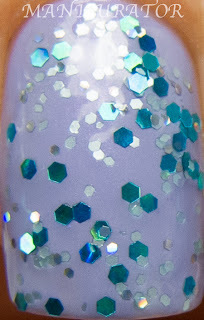 Gah, three more F4 polishes to add to my lust-after list. 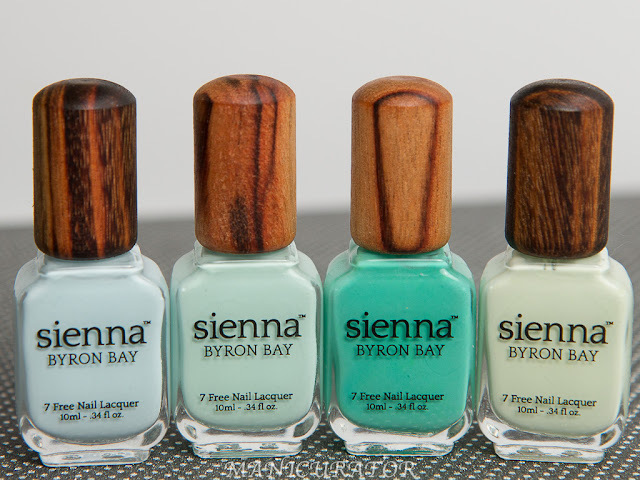 I've been very pleased with them and their polishes. They are all so pretty on you! I think Ice Cold is my favorite! I love all these! You remind me of myself :) Wife, mom, former teacher taking care of my kids, and nail polish addict. Love your blog. Come check out mine!